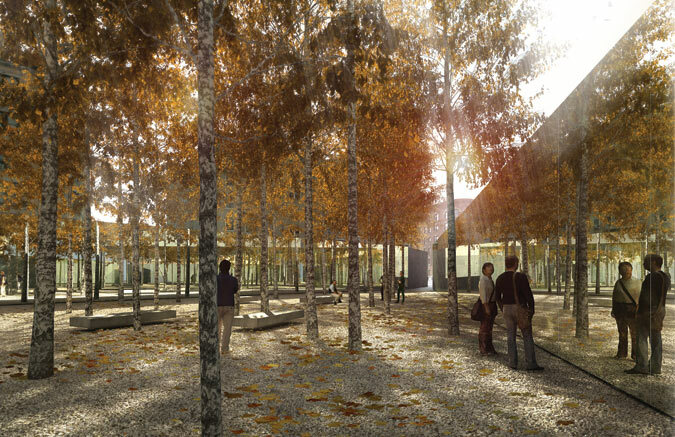 Infinite Forest is the winning entry in the AIDS Memorial Park Competition by studio a+i, beating out 475 entries. The memorial will honor the thousands of AIDS patients who were cared for during the 1980s epidemic at St. Vincent’s Hospital. The competition has captured the attention of architects but may have forgotten the communities concerns, read more here.